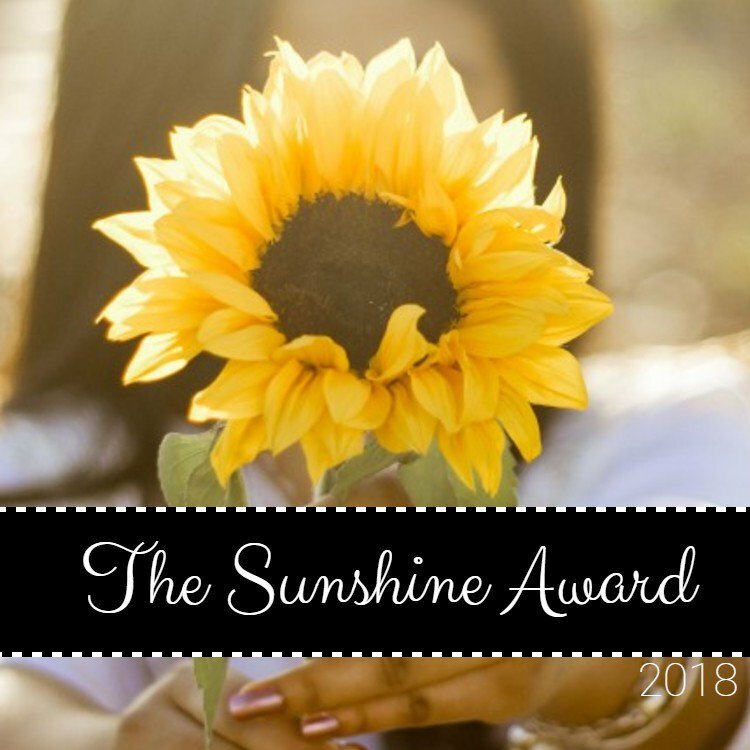 Lucy Turns Pages: I Have Been Nominated for The Sunshine Award 2018! 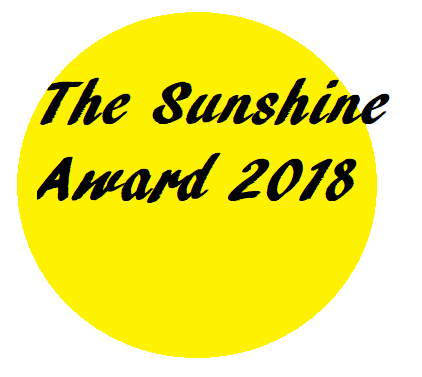 I Have Been Nominated for The Sunshine Award 2018! 4. 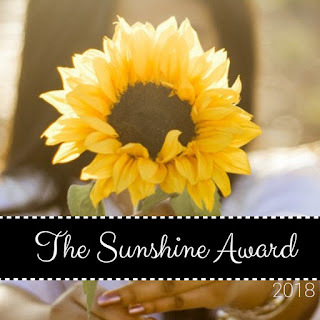 List the rules and display the Sunshine Blogger Award logo in your post and/or blog. I started my blog because I originally had a bookstagram and then a booktube. I discovered book blogging and fell in love. I have always been passionate about writing and I had tried blogging in the past. Writing and reading are two central parts of my life and as I began writing my blog I found a passion for writing about mental health and I was encouraged to post my own creative writing too. Blogging makes me so happy and I am so grateful for all the amazing, friendly and supportive people that I have found because of it. 2. What is your favourite way to unwind and relax? This is a hard one, as I suffer from anxiety, I find that I rarely ever fully do this. Depending on my mood, I find that a bath or reading a good book can be very relaxing. 3. What would your ideal job be? I have wanted to be a published author for many years. After discovering how much I enjoy blogging, I would love to work as an author and blogger. 4. What is your favourite film and why? My favourite film is Letters to Juliet. I have watched it so many times and I have even been known to watch it three times in one week (please don’t judge me!)! I love it because it features two great romantic storylines across different generations and it is set in Italy, a beautiful country that I would love to visit one day. 5. Which option would you pick between having a good, stable job with a good pay or doing something you love for very little money? Definitely doing something I love for very little money, I would rather be happy than rich. 6. Where would you most love to live and why? By the sea because I love going to the beach as I find it relaxing and inspiring and it is a great place to walk. Bereavement. It is the worst thing and I would not wish it on anybody. 8. What has been your biggest struggle, to date, with your blog? Not knowing whether people are enjoying it and finding it helpful. 9. Which quality do you admire most in people and why? Living without fear: people that travel and do amazing things without letting fear get in the way. 10. Which famous person (alive or dead) would you most like to be like and why? I would love to write amazing, whimsical stories like Diana Wynne Jones. Hopefully, one day people will love my stories a fraction of the amount that they love her beautiful works. 11. What is your goal for 2018? I would love to start making an income from blogging as this is what I want my job to be. Additionally, I would like to make considerable progress on the first draft of a novel and possibly finish one. 3. What problems have you faced with your blog? 4. What are your goals for 2018? 5. What is your favourite book and why? 6. Who is your favourite writer and why? 7. What is your favourite television series? 8. What hobbies do you do? 9. What is your favourite form of exercise? 10. Where would you love to travel to and why? 11. What is your favourite film and why? If you have already been nominated, please link me to your post with your original questions as I would love to read them.